How can employees see their schedules? What do staff see when they look up their roster? 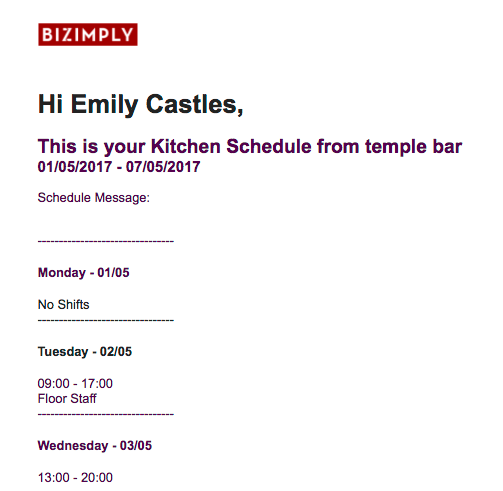 Staff can see their hours for the week in a number of ways with Bizimply. Employees can easily see when they are scheduled from multiple sources so they will always know when they are working while increasing staff interaction & engagement. Can my employees have an app?